A Beginner's Guide to Head Covering... with Pictures! - The Kennedy Adventures! You are here: Home / Being Catholic / A Beginner’s Guide to Head Covering… with Pictures! 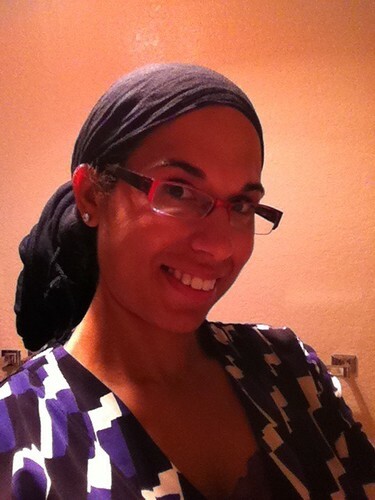 A Beginner’s Guide to Head Covering… with Pictures! I am so happy to be guest posting here at the Kennedy Adventures! Some of you, dear readers, may be readers of my blog Caffeinated Catholic Mama, while others of you are brand new to my caffeine-fueled rambling! I was very honored when Dianna asked me to guest post and it took me a bit of time to figure out what to write. So Dianna and I were chatting on Twitter and she thought that it would be great to find out a little more about head covering in the Catholic Church. OK, I’ll give you a minute to wipe the coffee off of your computer screen… Ready? Yes, I cover my head at Mass and in Adoration… basically, if I am in prayer, I have my head covered. Now, since we are called to pray without ceasing, logic would follow that we (women) should have their heads covered at all times and some women do, especially among our Jewish sisters. Personally, I am still discerning if that is God’s Will for me. So head covering, what’s the deal? Contrary to popular opinion, head covering in the Catholic Church did not get thrown out after Vatican II, it just was never addressed. It’s kind of like if Congress, when adding amendments to the Bill of Rights never addressed the previous Rights, does that make the previous Rights null and void? No, so same thing with the Church. The topic of women’s head covering never came up during the council and therefore still applies. However, reporters of the time took it upon themselves to report that veiling was thrown out. Some women cover their heads when in the presence of the Holy Father (Laura Bush and Michelle Obama have while Angela Merkel did not) and many Protestant Christian denominations cover their heads when in prayer (i.e. Quakers, Amish, Anabaptists, Mennonites, Presbyterian, Pentecostal) as well as some of our Jewish and Muslim sisters, so wouldn’t it apply that we could still cover our heads at Mass? 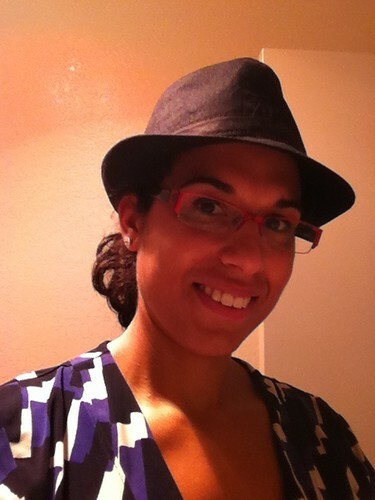 I first became interested in head covering when I was writing a post a few years back about Church Lady Hats. I grew up in a Black Baptist Church and one of my fondest memories about growing up were the fabulous hats the women would wear. Everyone would be dressed in their Sunday Best, shoes shined and hats on the head. It was when researching that post I stumbled on a few websites talking about women covering their heads in the Catholic Church. Not long after that, I bought my first chapel veil and the rest is history! Besides being based in scripture, covering the head is a form of modesty with the thought that a woman’s hair is her crowning glory and by covering the head we are taking the attention from ourselves and focusing the attention back to God. Imagine yourself back in biblical times. If you were a woman of wealth, you most likely employed a few handmaidens who were able to braid and adorn your hair into the most elaborate of styles. If you were a poor woman, most likely you hair was not as adorned. How do we overcome this difference? Cover the head. With all of that said, however, covering the head is an extremely personal decision and should be done because the bearer feels called to covering the head. 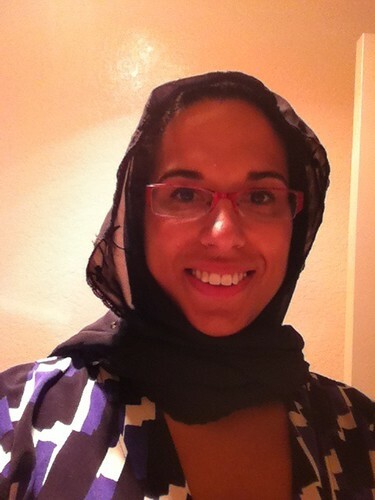 Sometimes people cite Muslim women being forced to wear a burqa as reason not to cover the head; that covering the head is another attempt at the patriarchy to “put women in their place.” While some Muslim women are forced to wear the hijab or burqa, some Muslim women choose to wear the hijab or burqa. Whether it is because of a backlash against the current incarnation of somewhat militant feminism or just a desire for all things traditional and orthodox, some Catholic women are returning to the veil. These women see covering the head as a testament to their feminine nature and not as a burden placed upon them by man. They are embracing their feminine nature and not trying to disguise it. I am not writing this post to convince you that you should be covering your head, but to give you some ideas of how to cover your head, if you have decided that you are being called to cover. This list is not exhaustive, but it is a good jumping point! Please bear with the pictures… photography is not my strong point! Chapel Veil– Probably one of the first pictures people see in their head when they hear the word “Veil.” Traditionally, married women wear black while unmarried women wear white but beware of cultural norms. My married, best friend wore a black chapel veil in Japan and received some odd looks as black is reserved for mourning ONLY in Japan. Mantilla– the second type of “veil” most people imagine. Typically longer than a Chapel Veil and bit more on the “romantic” side. The Mantilla is more popular among women in Spain and of Spanish influence and is sometimes accompanied by a high comb on the head. 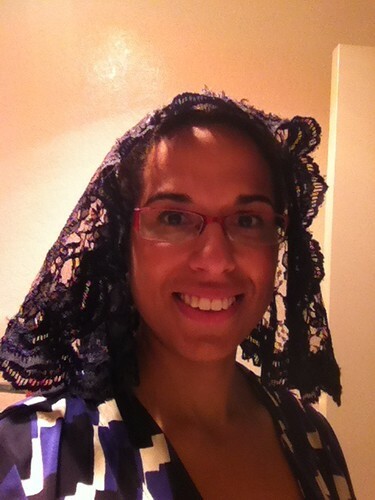 Mantilla with ends worn down, draped over my shoulders a bit. Mantilla worn with ends wrapped around the neck. Scarf/ Pashmina– I have found a long scarf or pashmina to be one of the most versatile items in my wardrobe. It can cover a kind-of-low neckline, can be used as an impromptu nursing cover, can be fashioned into a baby sling and can be used as a head covering! Here I have the ends of the scarf just draped around my neck ala 60s movie star. Here, the ends of the scarf are wound around my bun and pinned into place. This is one of the reason I love my pashminas! 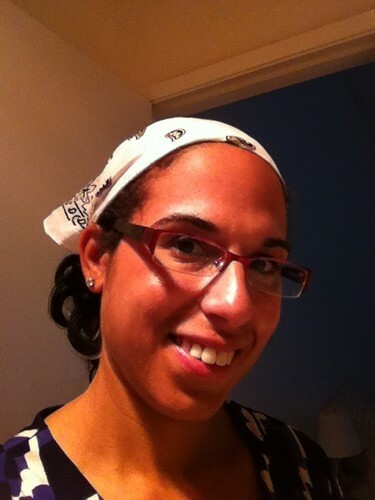 Bandana– This covering came from non-Catholic head covering mama friend of mine who writes over at Retro Modern Mom. You can take a bandana and fold it into a headband. When you would like to cover your head, just tug the tail of the headband and pull the bandana over the back of your hair. Hat– Quite possibly the easiest way to cover one’s head. Just about any hat would work, keeping in mind the reason and location of your head covering. This may cause your hat to err on the side of being more dressy rather than casual! Other great hat options could be a cloche, or beret. These are just a few ideas to get you started on the road to head covering! I hope you enjoyed this and feel free to swing by my place anytime! This is so interesting to me as I have begun to see a few women wearing the veil in my own church. Last weekend I noticed a woman who wore a lovely black and white scarf around her shoulders and as she went up for communion, she pulled it up to cover her head. It struck me as beautiful. Thanks for touching on this little-discussed topic. Thanks for reading! 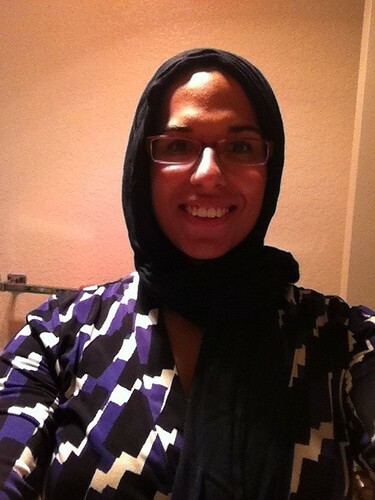 I found the scarf/pashmina ninja way is a great way to ease into veiling. Same with wearing just a hat! In the early 60 s I attended a catholic elementary school. The girls were required to wear hats or veils in church, but we didn t call them mantillas or veils. We had a special word for them. They were mostly small, round pieces of lace. And they were mostly white or off white. Older women wore black. Does anyone out there remember what we called them? You are totally inspiring me to do a little more research on the subject of head coverings. I feel like so many beautiful little traditions have been forgotten in recent years, but we’re seeing a great resurgence! Thanks for reading! Just to warn you, you could spend hours researching head coverings! It’s really cool! Very informative, and lots of food for thought. I did not realize that black was reserved for women in mourning here in Japan. There are elderly women at my parish that wear black veils, but most of the women in veils are elderly regardless of color! Maybe the ladies in black veils are widows? My sponsor gave me a white veil when I entered the Church, and I never really thought about the colors having any particular meaning. I have not worn my veil much, and most of the younger women do not, but you have given me some things to think about. Thanks for this post! And you know, it could be Parish or region specific? My friend and hubs were in Sapporo (?) I think… My DD1 (5) was begging me for a hot pink veil… I had to put the kibosh on that one! I grew up wearing a lace veil to church. 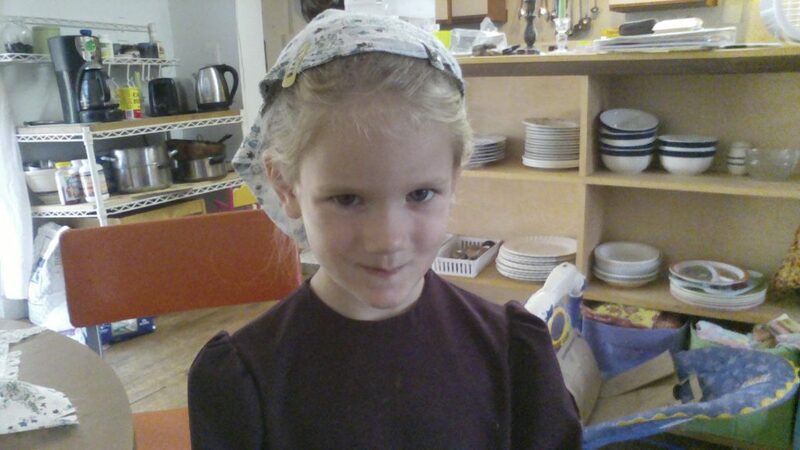 My dad had traditionalist leanings and demanded that all females in his household wear a headcovering. This was post Vatican II. I did it because I was an obedient daughter and my father warned us that if we every forgot, he would pull tissues out and make us wear them instead. We knew he probably would. I always felt very self-conscious. It clearly marked us out as different in our parish and many parishioners labeled us as snooty or elitist. I continued to wear a veil in my Catholic college (many girls did) and in the early years of marriage. But after awhile I gave it up, especially when my eldest daughter became a teenager. Those years are hard enough without asking her to make herself conspicuous with an old-fashioned garment. 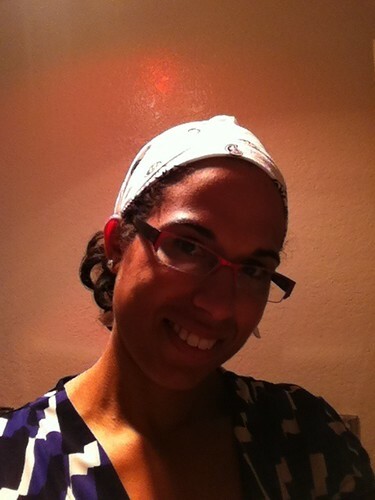 Headcovering did not add to my spiritual life, but it did set up a barrier between myself and other women in the parish who labeled me right away. It made others uncomfortable because I was acting “singular” and they wondered if I thought less of them because they were not wearing a headcovering. I found many faithful and devout women in my parish who did not fit my “good Catholic women wear headcoverings in Church” mindset (which is the way I had been raised – you could *always* tell if *they* were one of *us* if the females in the family had veils). I also wonder if the veil really has any meaning in a society that no longer wears any headcoverings at all – men nor women? However, if the Church told women to cover, then I would submit. Oh, Kate! Not to sound patronizing, but I am sorry that veiling has a kind of negative connotation with you! It really is such a personal devotion, that every lady should make the right decision for herself. I am sure there are people out there who *do* see themselves as “better” or “more devout” because they veil, but the same thing could be said for those who are “sola skirtura” (you know, will only wear skirts because that’s what women “should” do? )But, again, veiling is an act of humility, or at least it should be, and if one’s heart is not in the right spot… God will know. This was very interesting. I had NO IDEA that white was for unmarried and black was for married. That kind of makes sense although most of the time I see people wearing white ones. I should keep an eye out if they are married or not. I’ve started seeing more brown out here in CA. Maybe in the vein of the Franciscans? As someone who is neither Roman Catholic nor grew up with the veiling I started wearing one a few years ago (actually almost seven!) when my husband and I got engaged. He was of Mennonite background and thought strongly about it and I read the Scripture and the arguments and thought it was a reasonable interpretation. Now seven years later we are in an Episcopal church, I still wear a veiling and our daughter (4 years old) has recently asked to wear one. I am so encouraged when I think of the great variety of Christian women who are all wearing a veiling at sometime as part of their practice of Christianity. The veiling is becoming in some ways a sign of unity among denominations- that we are one in Christ despite our differences. I think veiling is definitely a way to unite us as Christians, if we allow it. Your DD is adorable in that picture, btw! I loved the post and the idea is beautiful! 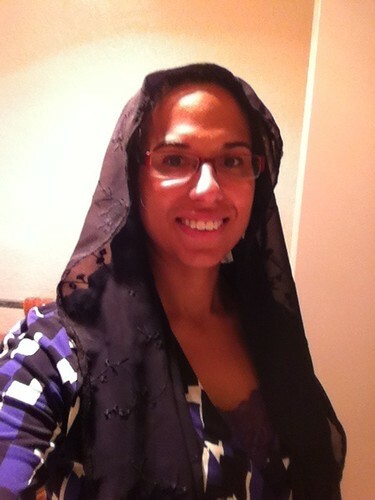 I grew up pre-Vatican, and so my childhood memories are of wearing a veil…I am going to pray about it……. I think that it shows such great reverence! I read somewhere that the intent of the 1983 change was to remove punishment for women who didn’t veil, not to eliminate it as a custom. I haven’t researched it further, though. When I’m feeling especially shy, I tend to wear a very wide headband made from stretch lace. It is a good way to “get your feet wet.”. If more women in my parish would veil, I would make veils for everyone! I have women tell me all the time that they want to cover but are embarrassed. Great post. How interesting! I saw a woman wearing a lace veil at Mass yesterday – the first time in decades! I did wonder if it is a custom coming back – this was in a country parish in UK. Like others, I grew up wearing a hat or veil to church, and would have no problem doing so again. At the same service was a young woman wearing the shortest of shorts – we used to call them hot pants. I worry about young women like this, and prayed for her afterwards. I feel we should be advising our young women that by dressing modestly, they are showing that they have respect for themselves. I’m almost fourteen and have been recently intrigued by headcovering. Because I’m in junior high, I’ve decided to wait until high school (grade ten) or wait until college to wear a scarf over my hair. I can’t decided because of how people might think of me! Anyways, I think this blog input was eye-opening for me. Thanks so much! BTW, Which do you think I should do? High school or college? I forgot to mention that I’m roman catholic and strongly believe in veiling and headcovering. Hi Bree! I think you should spend some time in prayer to see what your discerment is. If you feel called to cover now, go for it! I have two daughters, 5 and 3, and they have veils. Sometimes they wear them, sometimes they don’t. Like I said, it’s a personal thing. You could ease into it with a hat and see how it goes from there? What great timing to read this. Though I’m not in the CC, I am just now praying about the head covering as a modesty issue. Thanks for your sharing….again, it was timely. I recently converted to Catholicism from a Protestant background and my husband is very conservatively Catholic. I will have to ask him what he thinks about this. I have always been… well not on-the-fence, but rather just confused about the whole issue. THank you for your info. I am in Junior High and attend a baptist church currently. Is it still acceptable for me to wear a head cover? I feel I have been called to do so, but I don’t know what everyone at church and at school will think. I want to wear a head cover to show my devotion to God, but I don’t know how to tell my parents or my family. Do you have any advice? I’m going to a Traditional Catholic Church Mass (FSSPX) for the first time, as my husband and I want to get to know the Traditional Mass, as we intend to join it. I’ve seen such beautiful pictures everywhere! And while I am saving money for a nice veil or mantilla, I “only” have a pashmina (winter, purple), 2 beautifully adorned big shauls (red, and green), a small square scarf (leopard print), and 2 checkered winter scarves (purple&black, red&black). I say “only” because I can’t make any of them work nicely for me. I definitively don’t wanna go for the Muslim-look nor the Jewish-look. I haven’t found a way to wrap any of them in a nice way that suits my face; I’m oval-long faced and I only get this “old-crone” look. Help, please! Any suggestions? Hello, Thank you for sharing… I myself has covered for years.